Nextzett SF 2 High Gloss Finish eliminates swirl marks and holograms for an ultimate deep gloss finish. It is a medium-cut finishing polish with specially developed, high-tech abrasives which are the latest generation in the microscopic range. 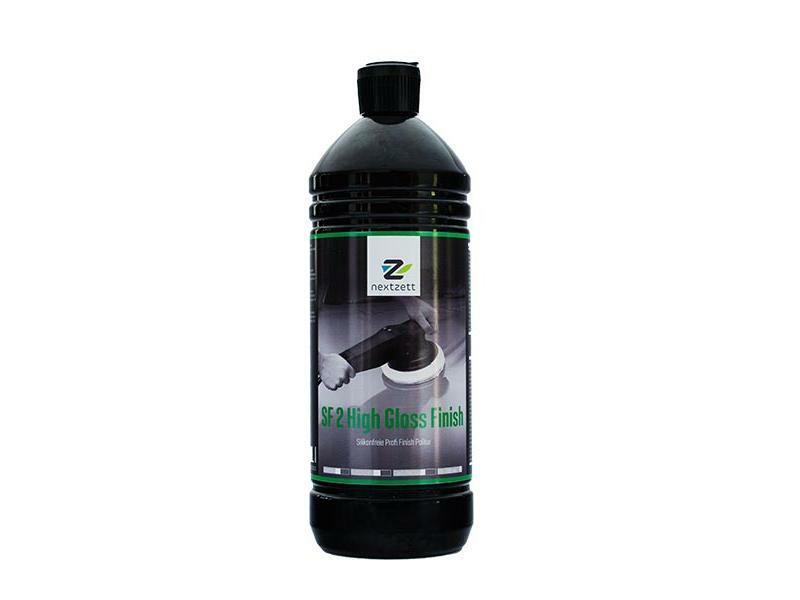 Nextzett SF 2 High Gloss Finish produces an ultimate deep gloss finish and lasting protection. Since it's silicone-free, it can be applied on all coatings without restrictions. Produces no holograms (even on black coatings), no lubricating film, and can be polished out without any residue. A straightforward polish for virtually all applications. Water-based and silicone-free.